New boa pattern mutation: Neptor boa!!! Contact me if you are intrested! 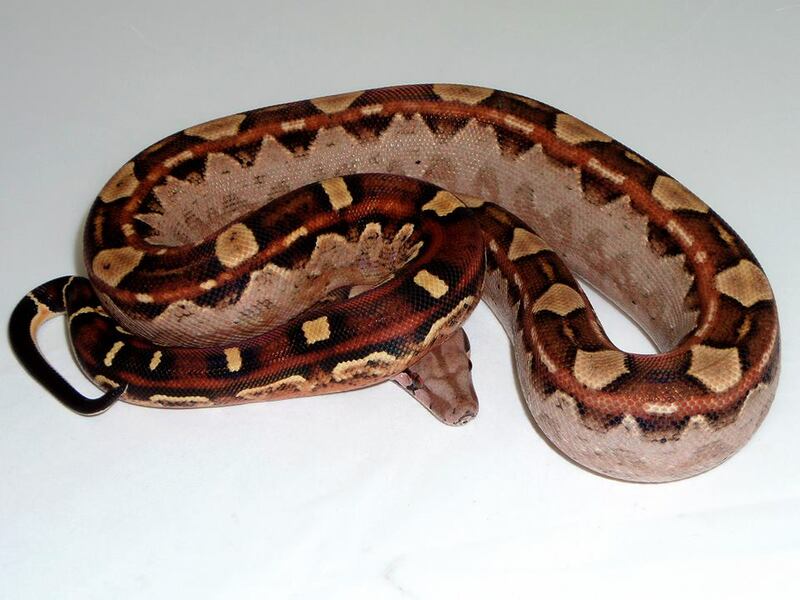 A new stunning boa pattern mutation witch prove in 2013 for the first time for me! It is an incomplete dominant mutation. So there is a "normal" mutation and a "super" mutation. 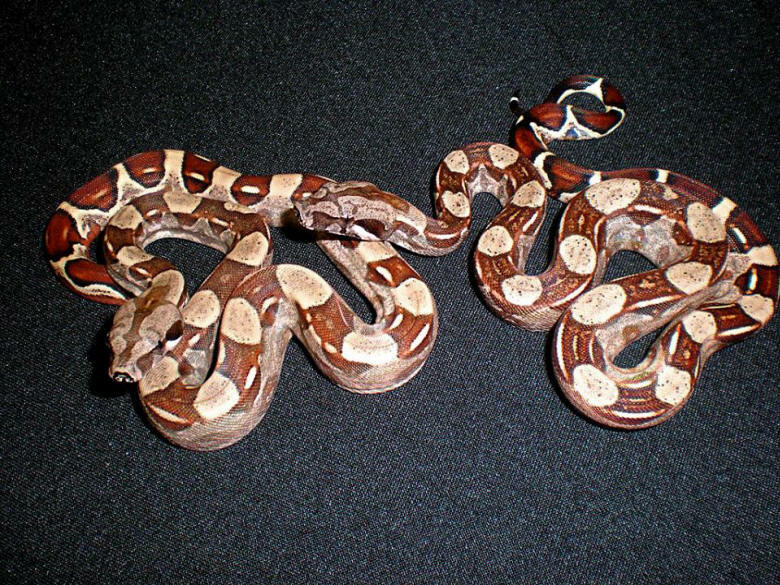 You can compare this mutation the best with the Raptor boa mutation from Raptorboa.com and also had big similarities with the inca boa. It even coud be exactly the same as the Raptor boa. But can only prove it when I bred one of my Neptor boa's directly with one of his Raptor boa's. 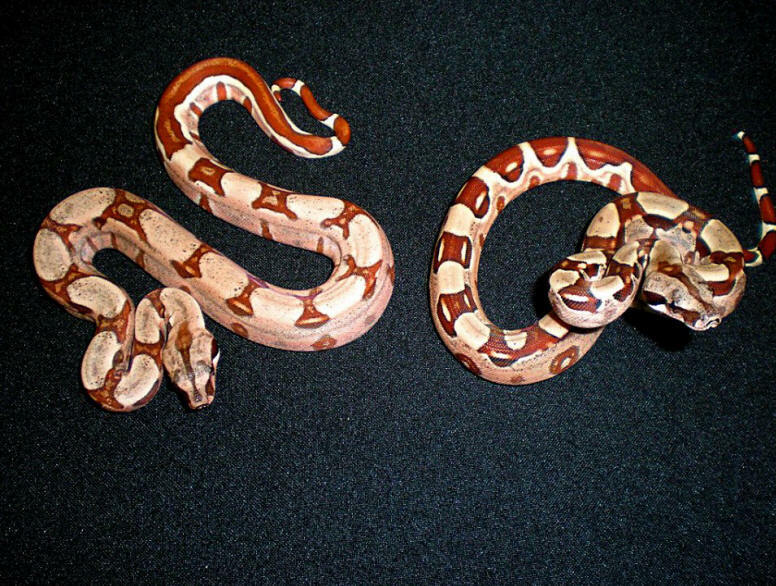 The grandfather of this year litter originally came form the same guy of raptorboa.com. I always thought it was a very special animal, but to be sure i need at least bred 2 litters, one to bred other animals with the same pattern. And this year litter to prove that this mutation has a Super mutation. It has some great opportunities to combine with other mutations. To explain the mutation: Circle back, partial striped tail, chained side pattern, almost no pattern ore dots on the belly and a crazy colour increasing when they grow up. The super mutation: has everything what is in the normal mutation but than increased, also a complete clear belly, pastel looks, and ruby - brownish eyes. The picture below shows the original male I purchased from Eable de Rue from Raptorboa.com. In 2010 I bred this guy with an unrelated female. The outcome was better than I expected. His pattern prove to be a dominant one. The complete 2010 litter (in Dutch). Below: male Neptor, and father of the 2013 litter. Below: neptor female from 2010, and the mother of the 2013 litter. In 2013 I bred 2 Neptor's form the 2010 litter and the outcome was as I expected, the litter contains 3 super neptors, some neptors and some normals. Unfortunantel 1 super neptor was verry small and died after a few day's. The other 2 super's (a pair) are doing great and getting more beautifull with every shed. The complete 2013 litter (In dutch). Below: 2013 neptor female (great looks), one of the best I have ever seen!